I am constantly falling in love with recipes from Sally’s Baking Addiction, including these brown sugar cookies. 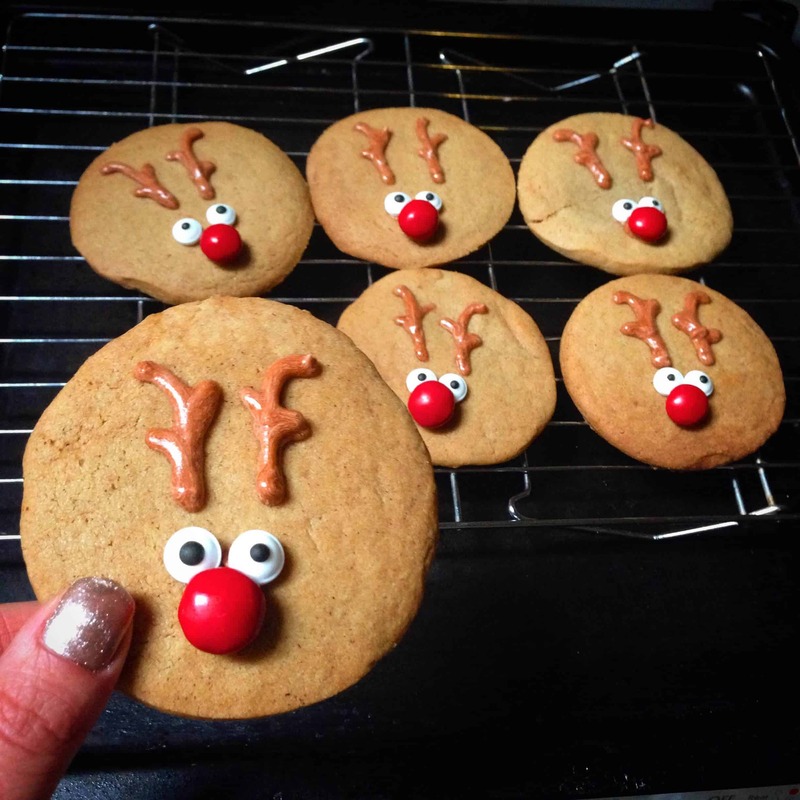 I decided to frost on some reindeer faces to make them a bit more festive. Toss together the all dry ingredients (flour, baking soda, cornstarch, cinnamon, and salt) in a large bowl. Set aside. Whisk the melted butter and brown sugar together, until no lumps remain. Whisk in the egg and vanilla. Pour the wet ingredients into the dry ingredients, and mix together with a large spoon or rubber spatula. The dough will be very soft, yet thick. Cover the dough and chill for 2 hours, or up to 3 days. Chilling is mandatory. Roll dough out to be about 3/4 of a centimeter thick, and cut out circles. I used a mason jar lid as my cookie cutter 😛 Bake for about 9 minutes. Remove from the oven, and allow to cool on the baking sheet for ten minutes before transferring to a wire rack to cool completely. 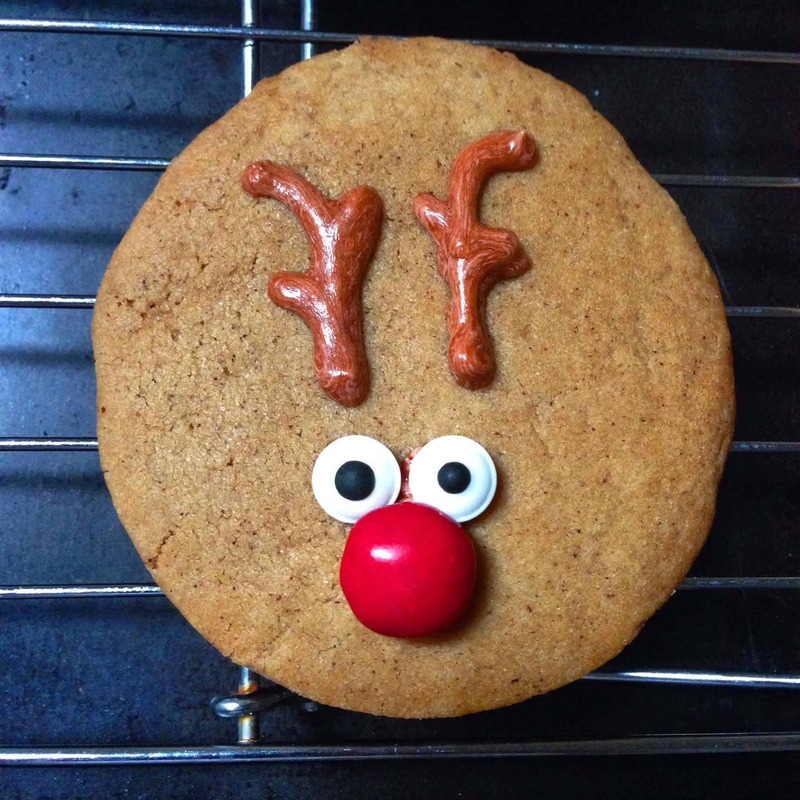 Add brown frosting antlers, and attach eyes and candy nose using small drops of frosting. Cookies stay soft and fresh for 7 whole days at room temperature. Cookies may be frozen up to 3 months. Rolled cookie dough may be frozen up to three months and baked in their frozen state for 13 minutes.